Decades ago, the unprecedented power of nuclear weapons required new adaptations of strategy. Now, the unprecedented power of weaponized narrative requires new adaptation of strategy. No one should mistake natural anthrax for weaponized anthrax designed for speed of transmission, virulence and exploitation of vulnerabilities in the body to destroy the ability to fight. Likewise, no one should mistake natural narrative for weaponized narrative designed for speed of transmission, virulence, and exploitation of vulnerabilities in the mind to destroy the will. Sadly, we often do mistake the deliberate and dangerous as the accidental but contagious; that must change. That all war is a conflict of narratives is a premise worth considering. Each side claims to be more powerful or morally better than the other, and military action is both an extension of politics by other means and an extension of “propaganda of the deed.” Narratives around a conflict solidify when the winners get to write history. Further, when a war is not won outright, both narratives survive. Sometimes, the losing side’s narrative dies off. Other times, it persists or regenerates to spark a new conflict. To explain this premise, let us begin with some concepts. First, the concept of threat is generally understood to be comprised of intent and capability. War is ostensibly intended to counter perceived threats. Therefore, war must destroy an enemy’s intent or capability. Capability to wage war usually cannot be destroyed (though a case might be made for total nuclear war doing so). As an example, look to attacks and conflicts that have made use of cars, machetes, and even rocks. Therefore, war must focus on destroying an enemy’s intent or will to threaten. Will has several possible foundations. Foundations include belief in the necessity of conflict to defend oneself, others, foundational values, or interests. The narrative of each side links that side with the lives and values supporting the will. Breaking the will requires discrediting a narrative, whatever that narrative may be. One narrative foundation for a will to war is that one group is superior or unworthy, as seen in Naziism, genocide, or ethnic cleansing. A similar narrative is a higher power’s mandate, such as some interpretations of jihad, or the royal divine right to command war. A third narrative is defense, described as the need to defeat an offensive narrative like those mentioned above. When a narrative, as a key example of information power, falters (due to time, casualties, cost, etc. ), other forms of power also falter. Without the narrative to link events into a cause for conflict, military and economic power become much less relevant. The strength of an entity doesn’t matter without the will to use it, and the will comes through the power of the narrative. ...A NARRATIVE CAN NOW DEPLOY IN A RAPID-FIRE SERIES OF MUTUALLY-REINFORCING STORIES THAT ARE HARD FOR PEOPLE TO DISREGARD AND REACH A GLOBAL AUDIENCE IN SECONDS AT MINIMAL COST. The weaponized narrative is distinct from traditional information attacks like disinformation or propaganda because several factors, from cognitive neuroscience to communications technology, are now combining in unexpected, synergistic ways. Six key differences (abbreviated V3S3) are Vector, Vulnerability, and Virulence; Scope, Speed, and Synergy. Vector means information’s reach—physical weapons require delivery systems, and often extensive logistics. However, there’s no bunker to keep out information. Information is self-propagating, and it can now have a global “blast radius.” Vulnerability highlights that just as a series of events, from stress to prior disease, can overcome a body’s resistance, cognitive science has shown how sequential stories can overcome a mind’s resistance. Virulence expresses that advances in understanding cognitive flaws empower narratives tailored to exploit near-universal, hard to resist biases. Scope refers to the number of actors. Low cost allows information attacks to come from millions of individuals in infinite combinations. Speed addresses information “rate of fire”—the ability to plant a resilient idea and reinforce it in minutes or seconds, akin to a fire-hose of falsehood. Synergy speaks to how each of these changes is a force multiplier for the others. Taken together, a narrative can now deploy in a rapid-fire series of mutually-reinforcing stories that are hard for people to disregard and reach a global audience in seconds at minimal cost. Using weaponized narrative offers an advantage. 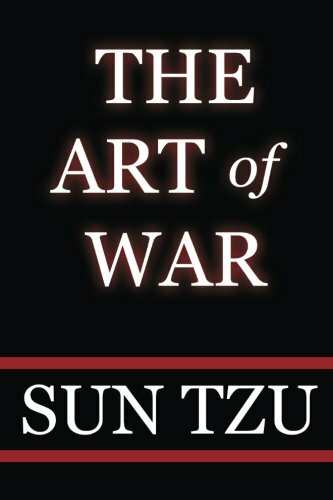 This work explore how Sun Tzu’s Art of War can illuminate the notion of a weaponized narrative, but it touches many other strategic approaches as well. Recent uses of weaponized narrative are as different from old-school propaganda as the nuclear weapon is from the conventional bomb (e.g., computational propaganda effects). Yet, ample traditional strategy applies, and Sun Tzu offers nine principles applicable to the use of weaponized narratives. First, non-kinetic force matters. We read in Sun Tzu, “He who relies solely on warlike measures shall be exterminated; he who relies solely on peaceful measures shall perish,” and “in which army is there greater constancy both in reward and punishment?” Sun Tzu suggests the faction perceiving its social system to be more just has an advantage in warfare. The advantage parallels high ground through the moral high ground of a system that prevents the wealthy or well-connected from escaping justice or profiting unfairly through inconstant reward and punishment. Weaponized narratives can leverage partisanship and perceived miscarriages of justice to create divisions. Underlining the point, Sun Tzu enjoins, "If his forces are united, separate them," which is also interpreted by some thus: "If sovereign and subject are in accord, put division between them.” Weaponized narratives of injustice may claim that leaders don’t protect one group, even alleging a refugee crisis (e.g., Ukraine stories). If a weaponized narrative widens divisions, those divisions could both create and shape open conflict. Second, chaos drains energy, but drains less from the side already prepared for the chaotic environment. Speed chess can give an advantage players who have memorized specific gambits, for example. Using a fast-paced, weaponized narrative can undercut proactive, strategic thinking in favor of reactive, tactical thinking. (E.g.,“If he (the enemy) is taking his ease, give him no rest”) Weaponized narratives can showcase urgent crises to distract the public and leaders from more important events. Creating chaos is a means to deny rest. Physical chaos is one means. Mental chaos is another. Chaos in planning creates decision fatigue. Cognitive capability declines as successive decisions must be made. In such cases, leaders often fall back on standard templates, such as doctrine. Third, weaponized narratives attack an enemy’s strategy. The information environment isn’t complicated, but complex, adaptive, and chaotic. In a chaotic environment, crafting strategy becomes exponentially more difficult. Strategy relies on ends, ways, and means as basic tools. However, in a chaotic information environment, those may change faster than in kinetic warfare. In a kinetic war, authorities can separate saboteurs from reconnaissance by checking for tools to damage versus tools to observe. In the information environment, the tools to observe are the tools to damage, so ends are less clear. Means are also less clear. In traditional war, one tank means military power, and two tanks results in roughly a doubling of power, so counting tanks matters. In informational conflict, one story means power, but a second may mean a decrease in power (if the story backfires), or minimal increase in power, or a thousandfold increase in power if it goes viral and gains global attention. Ways are also more variable in informational conflict. A particular story released in a particular way on a Tuesday may fail based solely on the other news of the day. The same story, released on Monday, might have changed the course of the world. Fourth, by targeting strategy and creating chaos, the weaponized narrative favors revisionist powers. Chaos can undermine rules-based international order aligned with the values of the principal state. While chaos is risky for rising powers, it tends to be more damaging to a predominant or status quo power. The weaponized narrative can distract, allowing a slow series of gains, such as claiming small, contested regions while keeping potential adversaries focused on new crises. Fifth, narrative is a low-cost weapon. “Indirect tactics, efficiently applied, are inexhaustible as Heaven and Earth, unending as the flow of rivers and streams; like the sun and moon, they end but to begin anew; like the four seasons, they pass away to return once more.” Similarly, weaponized narratives exploit short-term stories to support long-term themes. In Iraq, the theme of shock and awe, apparently intended to deter resistance by portraying U.S. and allied forces as invincible, used multiple actions and stories for a single intended effect. An actor can now create and propagate such stories in seconds, rather than months or years. The stories only matter in context, like skirmishes. The narrative is the campaign plan that coordinates repeated, rotating themes. Sixth, narrative can win a conflict by preventing it. 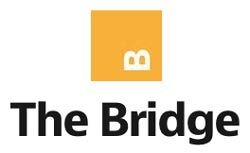 Sun Tzu suggests,“Though the enemy may be stronger in numbers, we may prevent him from fighting.” He goes on to say, “A clever general, therefore, avoids an army when its spirit is keen, but attacks it when it is sluggish and inclined to return.” Key themes might assert that a conflict is unimportant, for example. While Sun Tzu was referring to an army’s mood during a day, the concept also applies to a nation’s mood and the criticality of national will. Seventh, weaponized narratives leverage combined energy. Varied sources amplify assorted crowd-sourced stories, bolstering one narrative. Sun Tzu described this: “The clever combatant looks to the effect of combined energy, and does not require too much from individuals.” Beyond patriotic hackers, organizations such as Bellingcat use crowd sourcing to debunk Russian narratives of the flight MH17 shoot-down. [22, 23] Botnets multiply crowd sourcing by orders of magnitude (e.g., astroturfing—making a message appear to come from a grassroots movement when it actually comes from a sponsoring organization). Bots will prove increasingly powerful as chatbots convincingly replicate humans. Eighth, narrative is typically fast, difficult to predict (which benefits those with little to lose over those with much to lose), and concentrates actions. Narrative resembles the way a commander’s desired end state paints a picture of goals and objectives to concentrate the actions of those under his or her command. Sun Tzu advised, “Knowing the place and the time of the coming battle, we may concentrate from the greatest distances in order to fight.” In the information environment, distance means little, but the first mover advantage means a great deal. A new idea can take root before it can be debunked. We’ve all seen or heard of flash mobs, for example, assembling for actions from performance to theft and then dispersing in minutes. Groups such as Anonymous can similarly mass thousands of hackers, each perhaps with dozens of autonomous attack programs/bots for a cyberattack, exemplifying Sun Tzu’s directives to “let your rapidity be that of the wind.” and “take advantage of the enemy's unpreparedness; travel by unexpected routes and strike him where he has taken no precautions.” The information environment’s nature challenges principles of war (or battle) like mass, maneuver, speed, and surprise—not just for cyberattacks on physical targets, but against the minds of the public. Crowd sourced authors, multiplied by botnets, can create a faux movement instantly, making counteraction impossible. The appearance of many sources and supporters make the movement persuasive unless targets are inoculated beforehand. Finally, weaponized narrative targets our minds- and we rarely defend our minds well. We tend to accept stories uncritically (the illusory truth effect). Even if we know a story is false, a desire for the story to be true, or a story framed to support preexisting beliefs (confirmation bias) might make us believe the story in part. When people trust very few sources for truth or facts, it’s difficult to inoculate against adversary narratives going viral. When someone lacks the ability or will to think critically about incoming information, that individual has no analog to disease resistance. The mind is undefended territory in the information war. Sun Tzu noted, “You can be sure of succeeding in your attacks if you only attack places which are undefended.” Actors worldwide are targeting undefended and unwitting minds. Weaponizing a narrative resembles weaponizing a disease in several ways. One similarity is that neither is kinetic, yet both can have immense effects. Both are dangerous and chaotic, but are less dangerous to the faction prepared for the risks—or with less to lose. Modern scientists better understand disease resistance than did their predecessors, but some use that to tailor diseases to be more dangerous, easier to acquire and transmit, and harder to resist. Similarly, modern scientists better understand the mind, but some use that to tailor messages to be more dangerous, easier to accept and pass along, and harder to resist. Like viruses, narratives can combine to create overwhelming effects, and can appear and propagate with unnerving rapidity. Unlike viruses, though, the narrative is so inexpensive that almost anyone can weaponize and deploy it. Also unlike viruses, the weaponized narrative targets our minds, which usually lack the resistance our bodies enjoy. We have no immune system for the mind. Defending the body but sacrificing the will still means defeat. Jon Herrmann is a career Air Force intelligence and information operations officer. The opinions expressed in this article are the author’s alone and do not reflect those of the U.S. Army, the Department of Defense, or the U.S. Government. Attributed to Winston Churchill or George Orwell; related to a quote attributed to Napoleon: "History is the version of past events that people have decided to agree upon." Sun Tzu, The Art of War, Chapter 1. Ibid. There are two translation versions. One asserts that Sun Tzu's phrase refers to unity between the military leader and his forces. The other refers to unity between a sovereign and his subjects. Sun Tzu, Art of War, Chapter 1. “What is important is seldom urgent and what is urgent is seldom important.”Dwight D. Eisenhower, popularized in Stephen Covey’s 7 Habits of Highly Effective People. For more information on why and how the dissatisfied accept risk, see Daniel Kahneman and Amos Tversky, “Prospect Theory: an Analysis of Decision under Risk,” Econometrica 47, no. 2 (Mar 1973): 263-292 and Daniel Kahneman and Amos Tversky, “Rational choice and the Framing of Decisions,” Journal of Business 59, no. 4 (Oct 1986): S251-S278. Sun Tzu, The Art of War, Chapter 5. Ibid., Chapter 7. Readers familiar with Sun Tzu may also recall one of this work’s most frequently applied (or misapplied) axioms: "For to win one hundred victories in one hundred battles is not the acme of skill. To subdue the enemy without fighting is the acme of skill." Fora historical example of the risks of ignoring issues that don’t seem to affect one directly, see Pastor Martin Niemöller's “First They Came…” on the rise of Naziism. Sun Tzu, The Art of War, Chapter 6. Sun Tzu, The Art of War, Chapter 7.